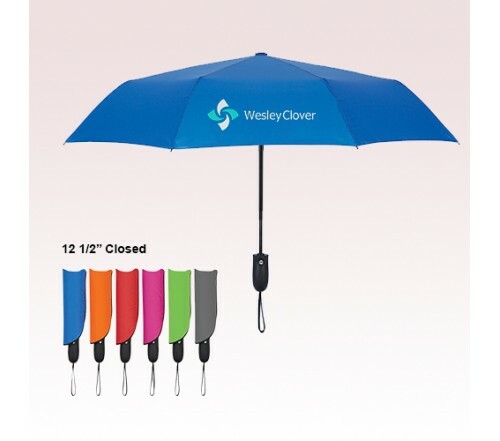 42 Inch Arc Promotional Telescopic Wave Umbrellas are made available in color options such as Fuchsia, Orange, Red, Gray, Lime Green or Royal. 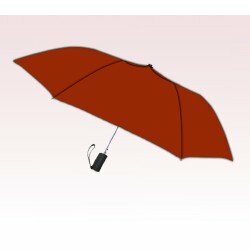 To make these custom umbrellas look stylish even when not in use, there is also matching colored sleeves provided. 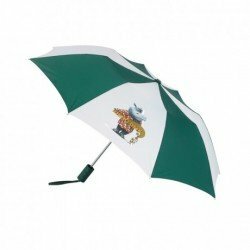 Metal shaft with Black rubberized comfort grip handle, automatic open and pongee material are other features of these custom printed products. 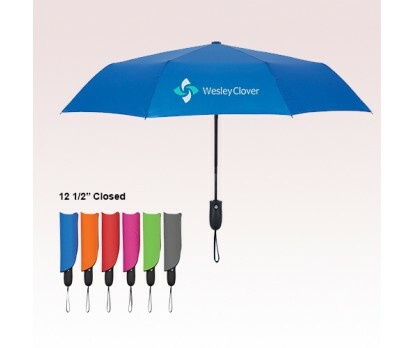 Utilize the 7" W x 4" H imprint space to take advantage of these mini-billboards that works in both rainy days as well as bright sunny days. 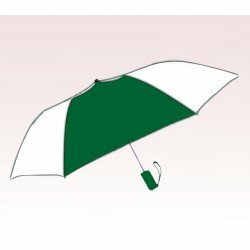 Order these custom folding umbrellas today to enjoy free professional design and free digital proofs facilities. 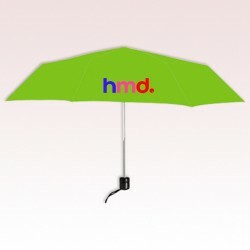 Request a quote to know what you can save on ordering 42 Inch Arc Promotional Telescopic Wave Umbrellas.